Dumfries town centre Christmas lights switch-on event is at 6pm on Sunday 27th December this year, with entertainment from 12noon. Kings is open, with entertainment. 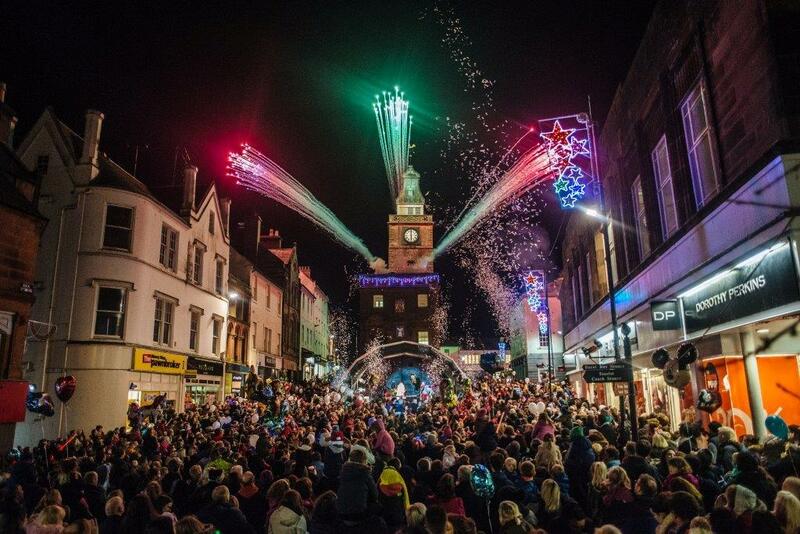 The great Dumfries town centre Christmas lights switch-on event is at 6pm on Sunday 27th December this year, with entertainment from 12noon. We’re going to be open all the way through – from 12noon to around 7pm – so if you’re joining the crowds, come and take a nice cosy moment in Kings to enhance the Christmas feeling.